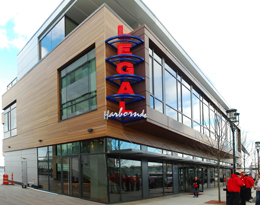 Legal Harborside is Legal Sea Foods’ flagship property on the Boston Waterfront, comprising three floors and three different concepts. 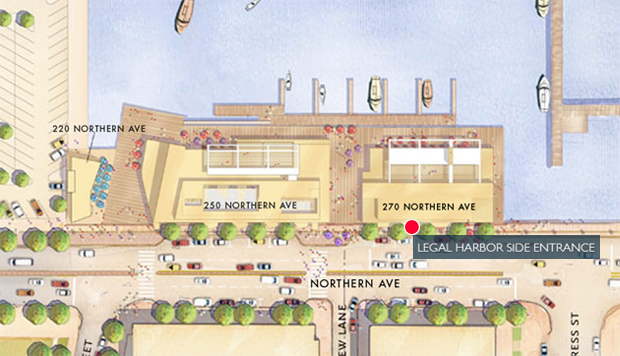 You’ll find a nod to their heritage on the first floor hull, with a casual menu of seafood favorites with a twist, an oyster bar and a fish market. The second floor dining room offers cuisine prepared with sensible creativity for celebratory eating and private dining events. The deck on the third floor features an all-weather rooftop lounge for cocktails and bites. Open daily; see restaurant website for details.